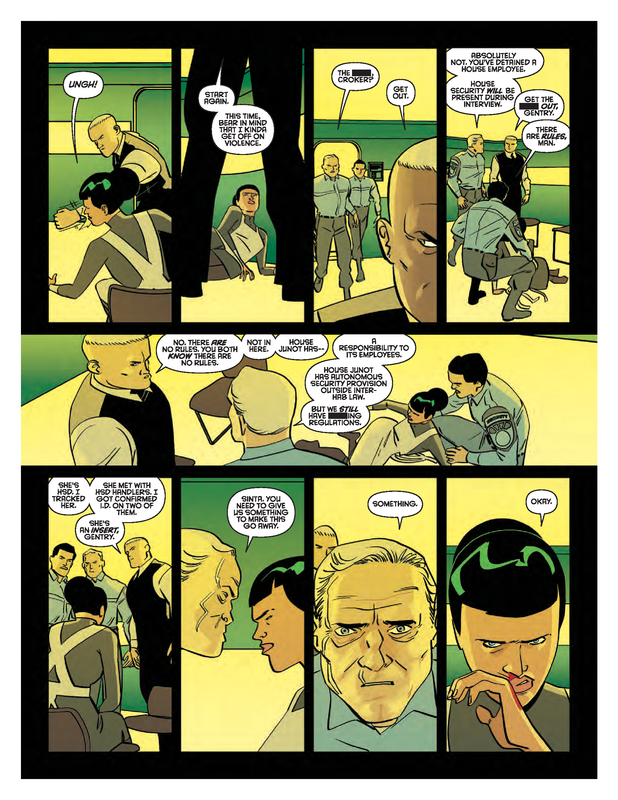 Written by Rob Williams, Dan Abnett. 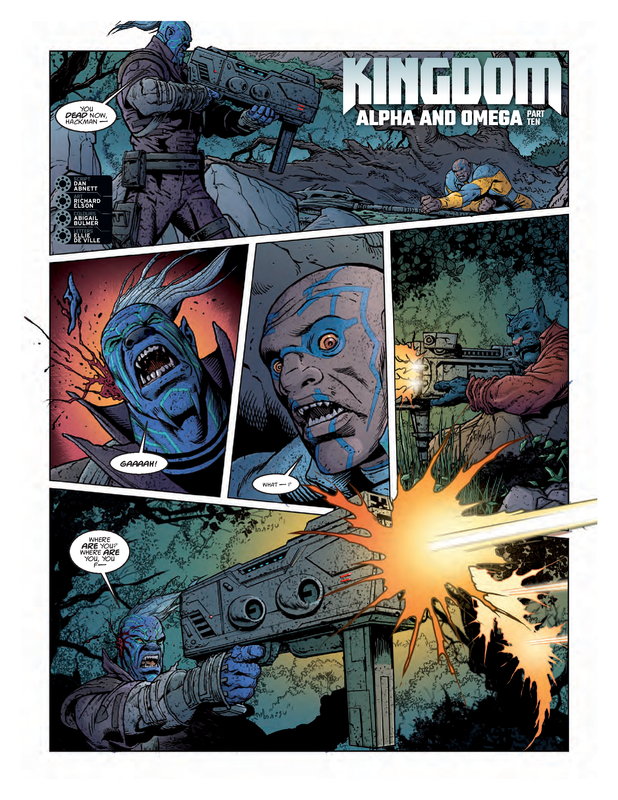 Art by Henry Flint, INJ Culbard, Steve Yeowell, Richard Elson. 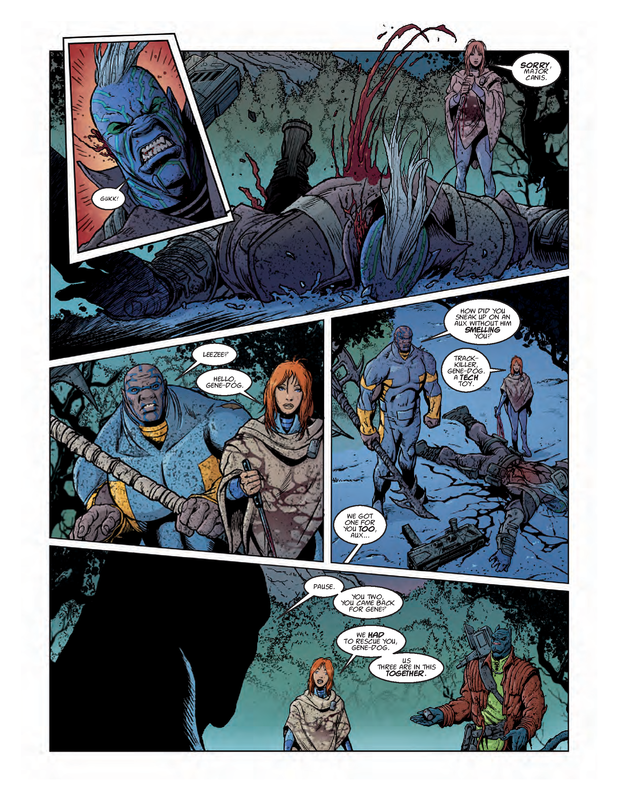 Colors by Chris Blythe, John Charles, Abigail Bulmer. 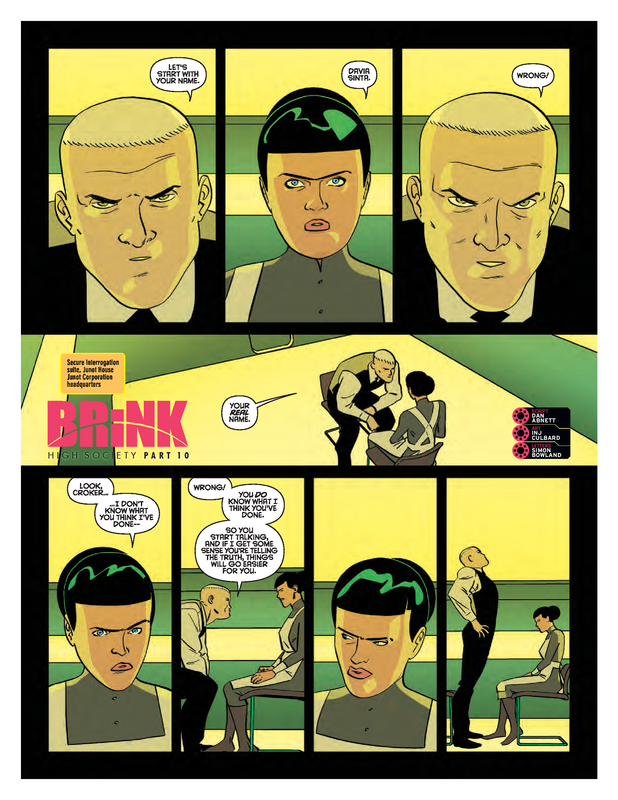 There is much to Thrill to in this week’s power-packed prog, which is handy since we’re counting down to the upcoming Mega-sized 100-page Xmas special out December 12. 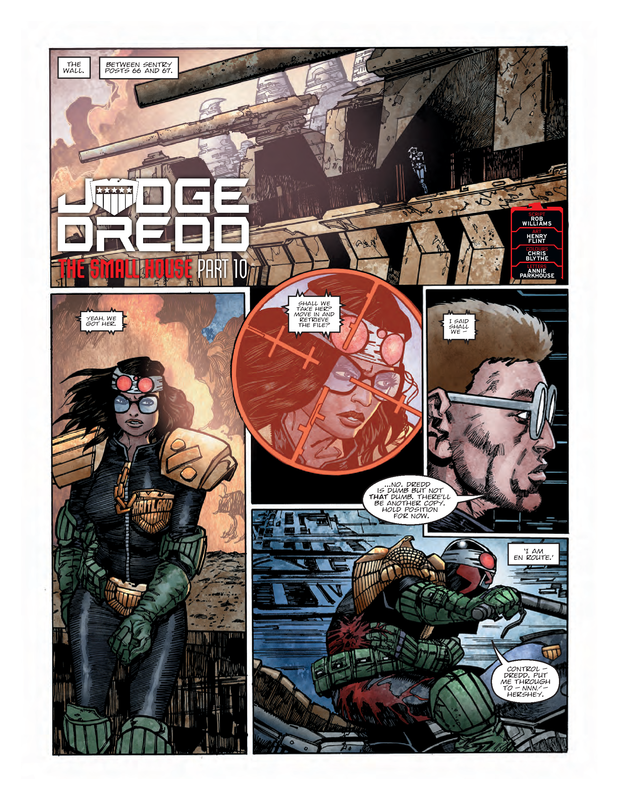 But before you terrans begin your peculiar winter festivities, Rob Williams & Henry Flint have brought their latest paradigm-shifting Dredd tale, “The Small House”, to its double-sized conclusion! 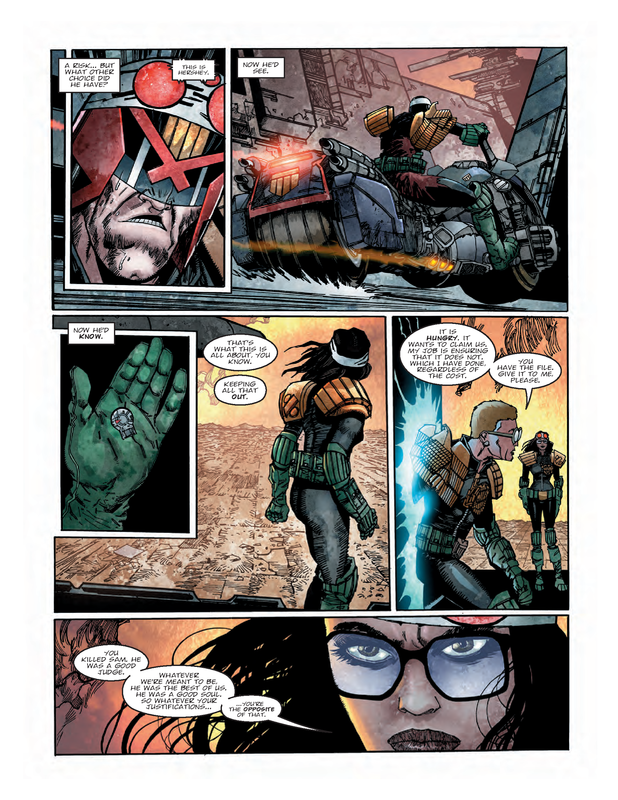 It’s a finale so arresting (Tharg forgive us this most blatant of puns) that almost half of this edition has surrendered to it! 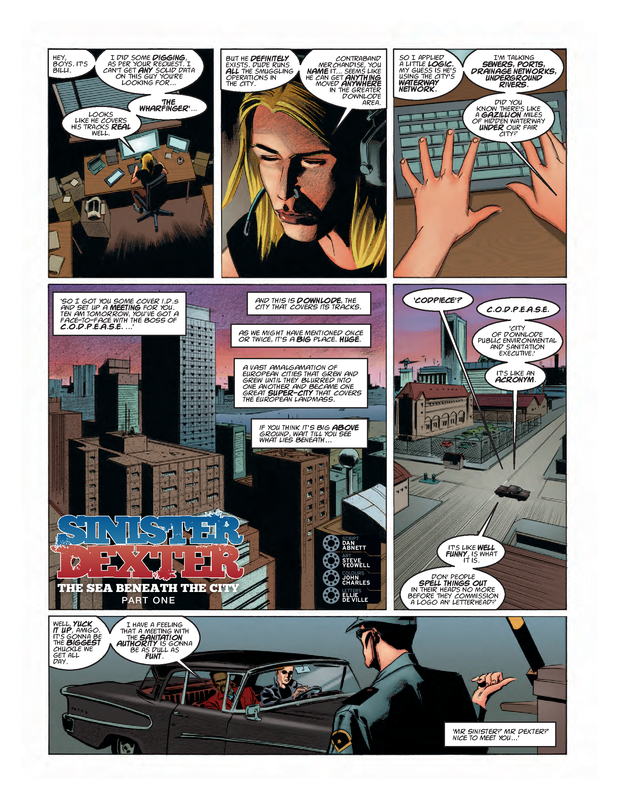 Another reason to set aside some of your hard-earned Earth-monies just for this extraordinary edition is that it kicks off an all-new Sinister Dexter story by Dan Abnett, Steve Yeowell, John Charles and Ellie De Ville! Only the utmost excitement for those who hail O Mighty Tharg! 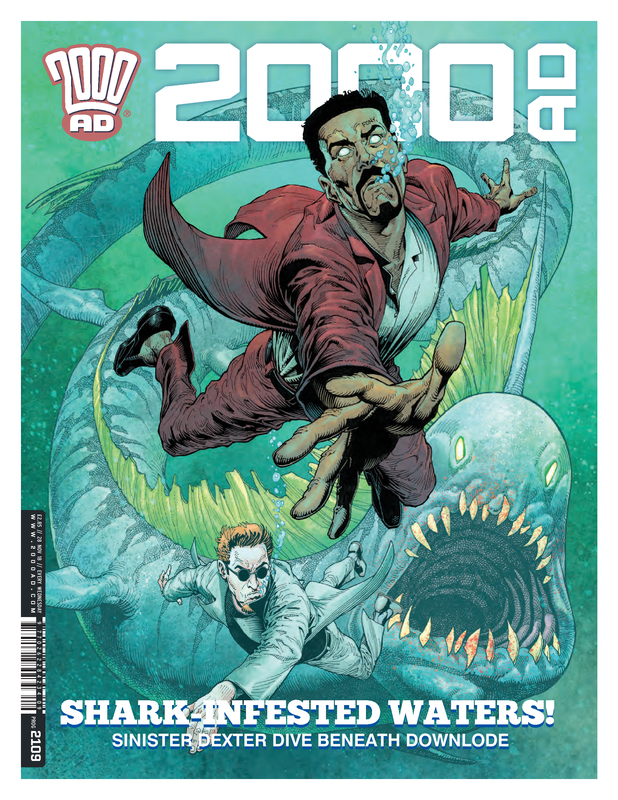 Earthlets, lower your eyes and pay homage to the glory that is this ten-page preview of Prog 2109, courtesy of Tharg and his minions at 2000 AD!